Hidden away near tiny Mill River, Massachusetts is a local gem, a rolling waterfall that starts as rapids about a half mile uphill and opens up to a scenic array of water plunging over rock ledges. This small town park makes a great half day cycling destination from Great Barrington, the largest community in the southern Berkshires. This ride starts from the Windflower Inn on Rt. 23, near the South Egremont town line. Ride a half mile west on Rt. 23 and take the Egremont – Sheffield Road to Rt. 7 in Sheffield, near the oldest covered bridge in Massachusetts. Turn left downtown on County Road. 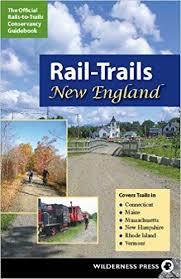 Just after crossing the Housatonic River, take a right on Hewins St. and ride for three miles through farm country. Turn left just after the sod farm on Polikoff Road, and for a couple of miles you’ll be just into Connecticut. After crossing two roads named Clayton Road , turn left on Sodom Road and continue through the four way intersection otherwise known as Clayton. You’ll take a couple of left turns ahead to stay on Clayton-Mill River Road, and at mile 17 on your ride you’ll turn right on a gravel road over the river you’ve been following. Just after the wooden bridge, turn right into the park. Continue to Mill River after exiting the park, where you’ll want to stop at the historic Mill River General Store. A fairly strenuous climb takes you to a left on County Road, followed by a long and exhilarating descent back to the Housatonic River. Turn right here on Holmes Road and take it to Great Barrington, then follow Rt. 23 back to the Windflower Inn. 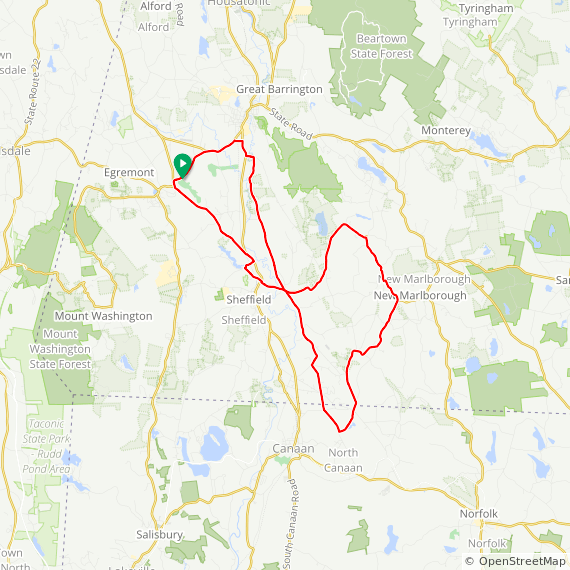 The ride is 34 miles with a nice mix of flat terrain and 1200′ of climbing.